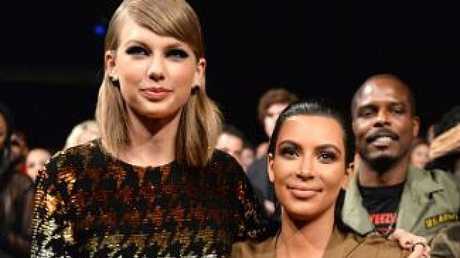 Taylor Swift labelled Kim Kardashian a “bully” during the opening night of her Reputation Tour. TAYLOR Swift is shaking off her feud with Katy Perry, but can't seem to do the same with Kim Kardashian. The singer kicked off her Reputation Tour this week in Arizona, and addressed her ongoing issues with Kardashian and Kanye West. Without directly naming Kardashian, Swift explained the meaning behind the snake reference and appeared to tell concertgoers the reality star used "name-calling to bully" her. "A couple of years ago, someone called me a snake on social media and it caught on. And then a lot of people called me a lot of names on social media. 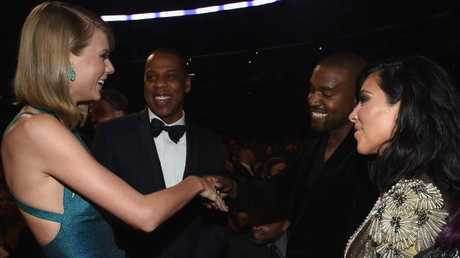 And I went through some really low times for a while because of it," Swift said in a lengthy speech. "I went through sometimes when I didn't know if I was gonna get to do this anymore." 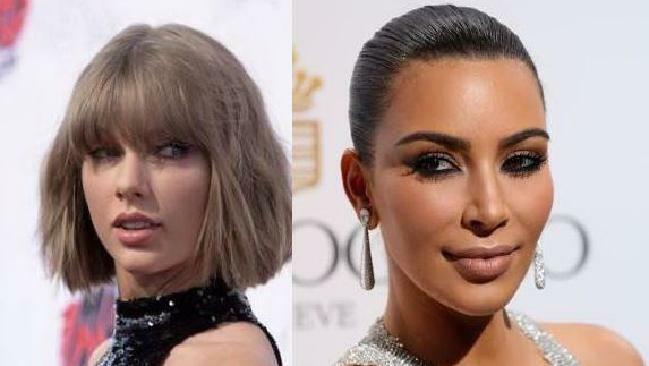 The Shake It Off singer seemed to reference the July 2016 incident when Kardashian released a secret recording of West's conversation with Swift about the lyrics to the rapper's song Famous. Swift is heard saying "it's a compliment" that West was mentioning her in his new song, when before she had said she never approved the lyrics. The reality star also posted a tweet using the snake emoji saying, "Wait it's legit National Snake Day?!?! ?They have holidays for everybody, I mean everything these days!" Many fans began flooding Swift's social media pages with the snake emoji. Swift explained this week that she used the snake motif in her new album to tell fans they can push back the negativity. "And I guess the snakes, I wanted to send a message to you guys that if someone uses name-calling to bully you on social media and even if a lot of people jump on board with it, that doesn't have to defeat you. It can strengthen you instead," she said. Swift said she learned about how much someone should "value" their reputation. "And I think the lesson is that you shouldn't care so much if you feel misunderstood by a lot of people who don't know you, as long as you feel understood by the people who do know you, the people who show up for you, and the people who see you as a human being," she said. She thanked her fans for sticking with her amid the drama. Swift fired back at Kardashian shortly after the videos were released in 2016 and said that she never approved being called "that b***h" in West's song. She also took issue with being called a liar. "Of course I wanted to like the song. I wanted to believe Kanye when he told me that I would love the song. I wanted us to have a friendly relationship. He promised to play the song for me, but he never did," Swift wrote in her response. "While I wanted to be supportive of Kanye on the phone call, you cannot 'approve' a song you haven't heard. Being falsely painted as a liar when I was never given the full story or played any part of the song is character assassination." Their short-lived friendship is now officially dead. Despite the bad blood is brewing with Kardashian, Swift officially put an end to her nearly five-year feud with Perry. Swift shared a clip of a note she received from Perry and an actual olive branch this week. Perry appeared to write in the note she was "deeply sorry," to which Swift said, "Thank you Katy."